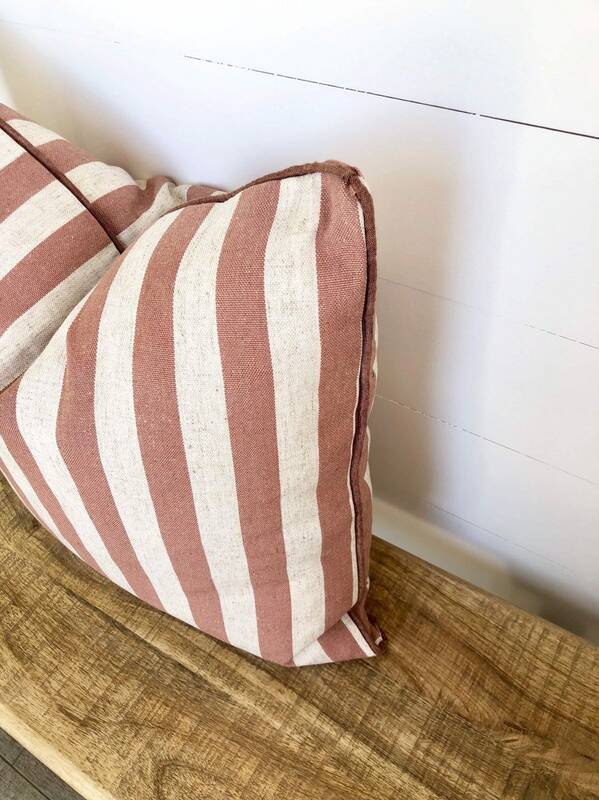 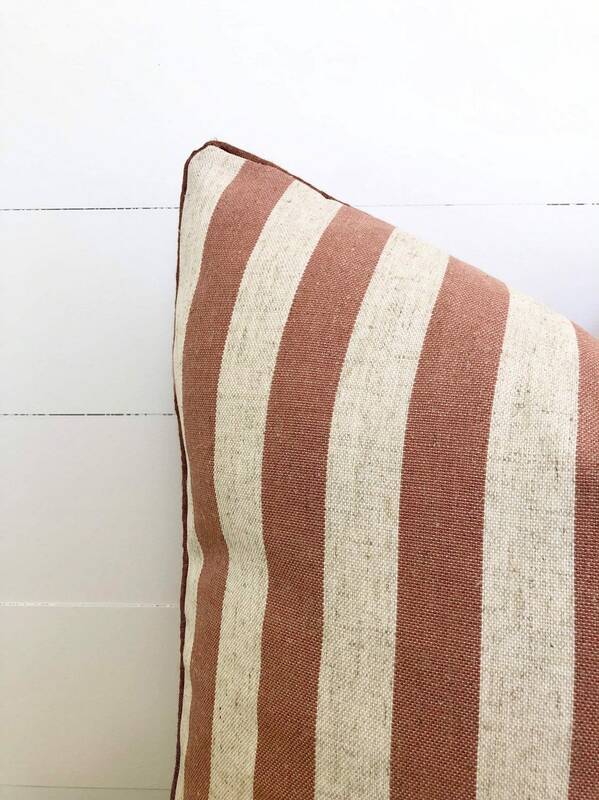 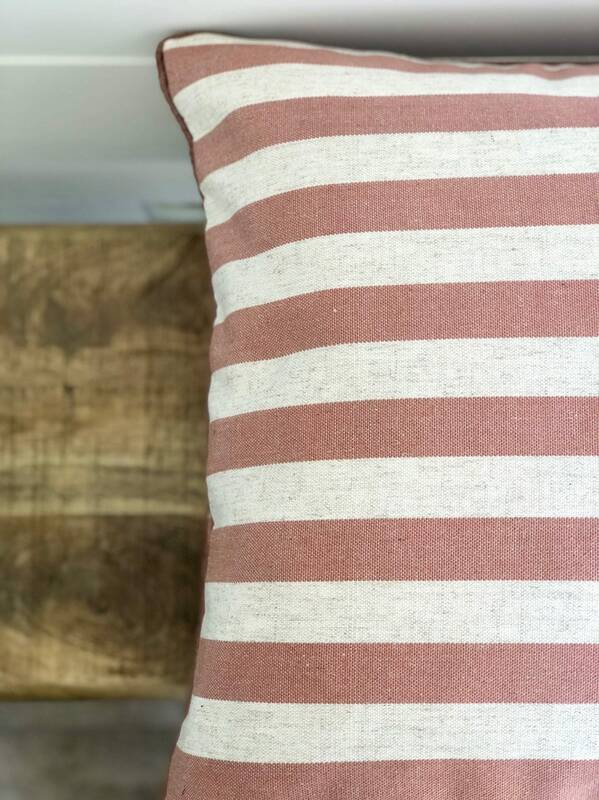 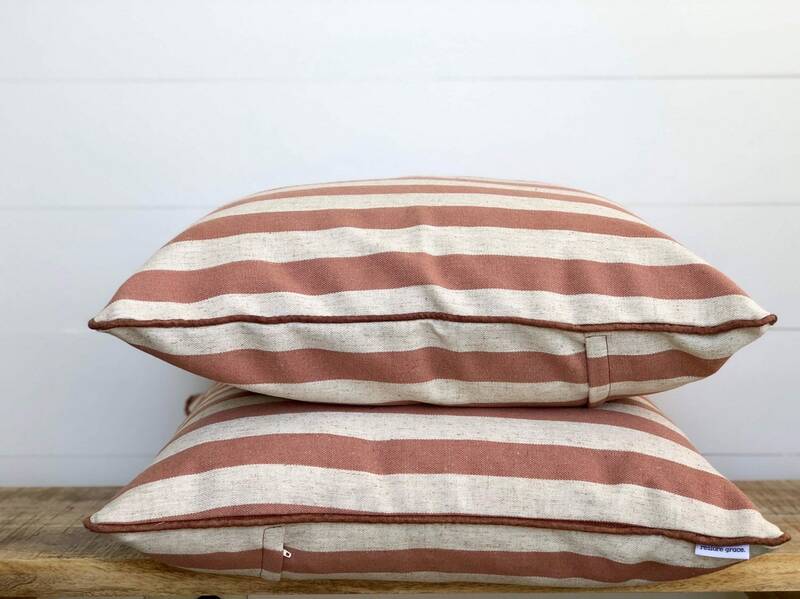 A thick classic stripe in a dusty warm red stripe. 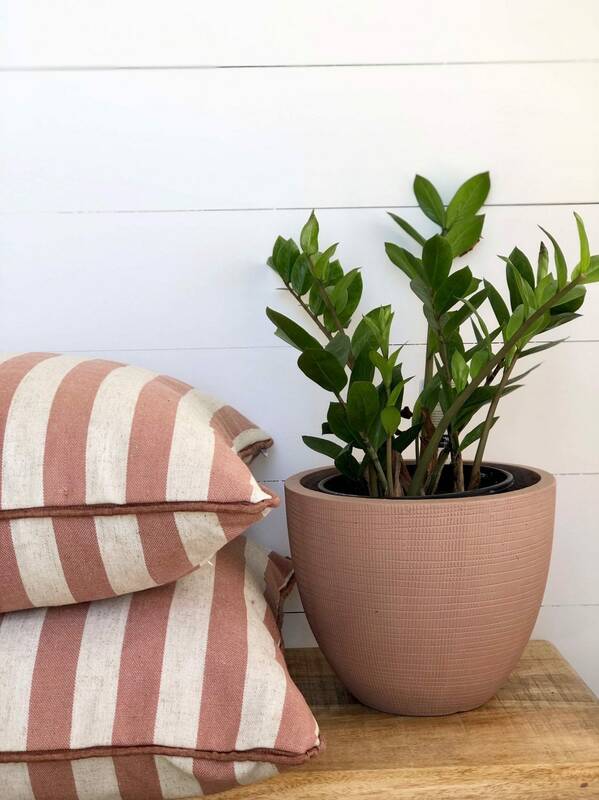 Combination linen makes this a fabric soft to touch linen with linen piping creating a bold look, with interest and appeal. 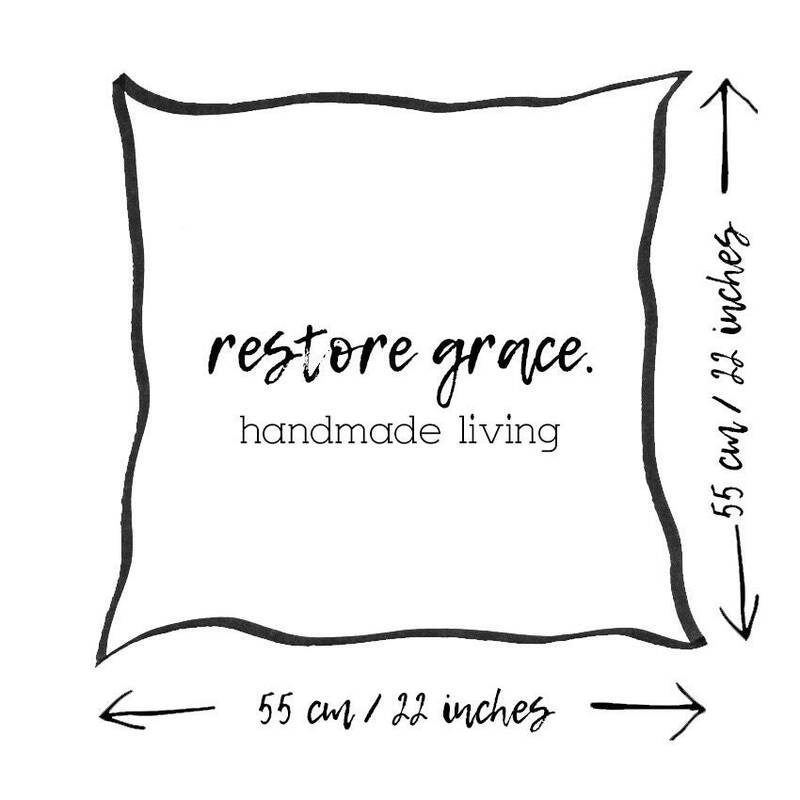 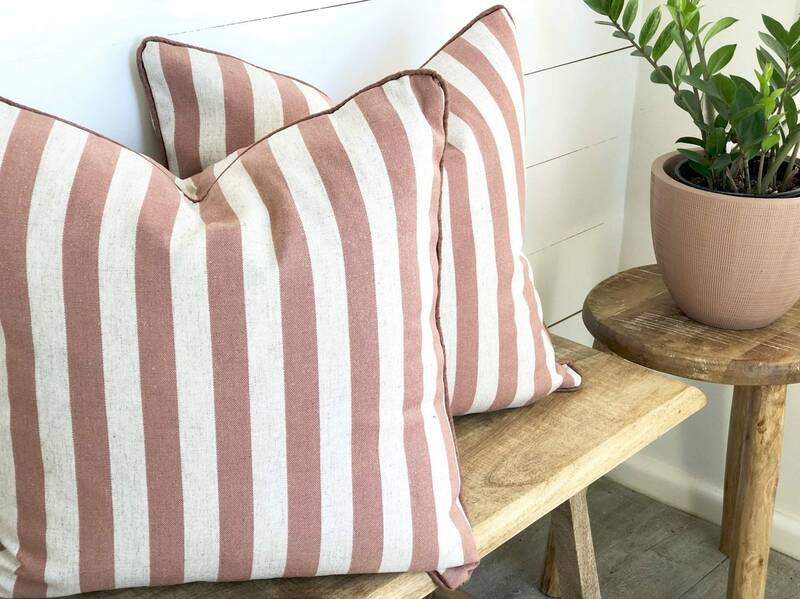 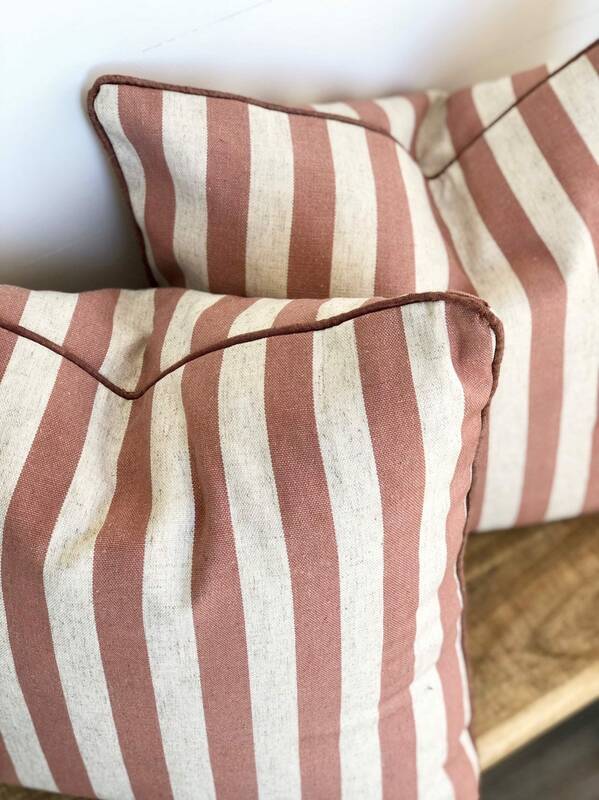 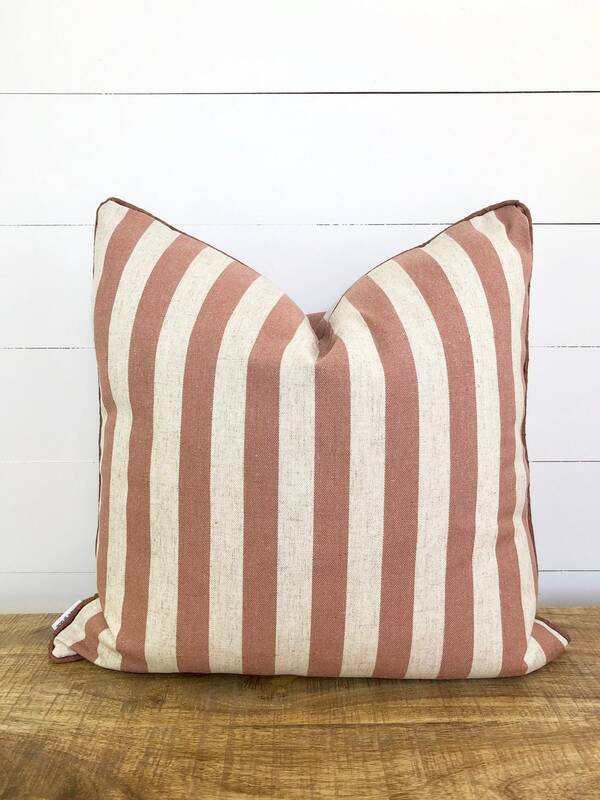 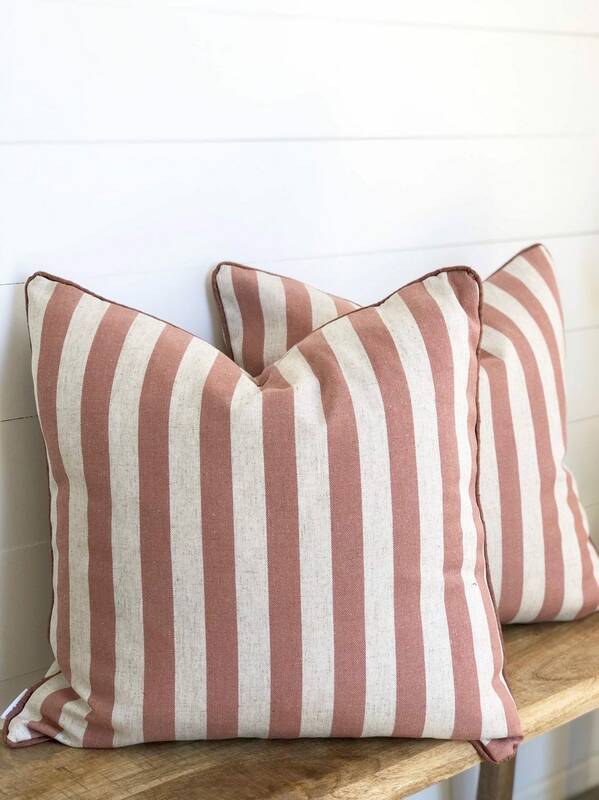 Pair this cushion with block linens or a patterned cushion to add detail and contrast.